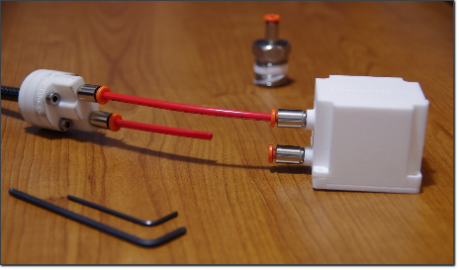 Some users presented the need to have a demountable pitot unit. The main advantage over the monolithic layout is the possibility to disassemble the pitot probe for maintenance and calibration. Main drawbacks are an increased complexity, weight and part count. 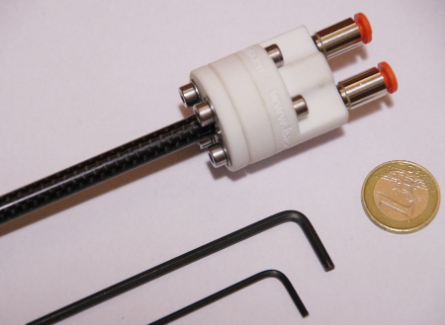 The more stringent requirement remains the low cost and DIY compatibility of the parts. After many “try and fix” iterations we came out with the design reported in figure 1. STL files for 3D print here. 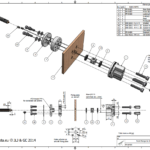 Sealing is achieved by two o-rings, mechanical joint between the pitot tube and the frame is based upon a keyless shaft locking device layout; figure 3 is an actual image of flange parts. Push in fittings for pneumatic lines were introduced for an easy integration with the air data computer and calibration equipment. Major design concern was the ability to maintain airtigthtness with the exclusive use of 3D printed plastic parts. 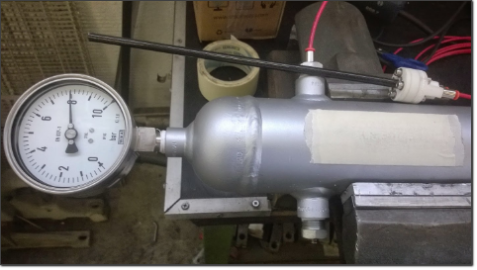 Pneumatic test was conducted on the prototypes, the device was successfully tested up to 8 bar. Acceptance criteria for the test was no leak over an observation period of five minutes. Print is straightforward using the provided STL production files. Figure 6 reports the tools required for mechanical operations. 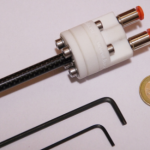 – Rework the internal rear body hole to 12.5 mm, typically with a reamer. 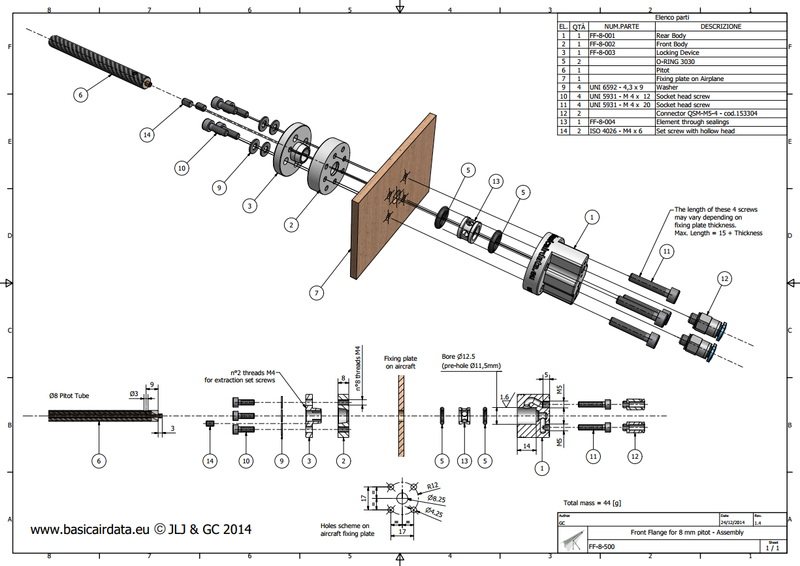 After the threads have been made proceed to secure the screws as per drawing in figure 2. 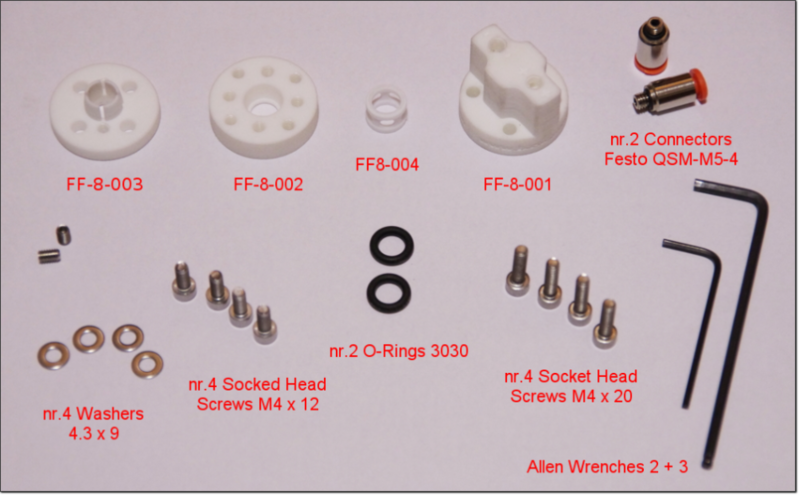 In your behalf please find the assembly process video (Removable Flange Assembly). There is no need for any special care for your removable flange maintenance. By principle it is not needed to grease the o-rings, is to consider also that if you flood any pressure line of the flange then you may have measurement related problems. However if you desire to do so please use the lubricant specified by o-ring producer and check the compatibility with other body parts. Silicone grease is usually a good choice, apply carefully a very thin layer of grease on the o-rings. Figure 5: Successfully pressure test run @8 bar. Figure 6: A suitable tools set. From to bottom, left to right. Tap handle. M5x0.8 Thread Tap. M4x0.7 Thread Tap. Precision Reamer 12.5 mm. 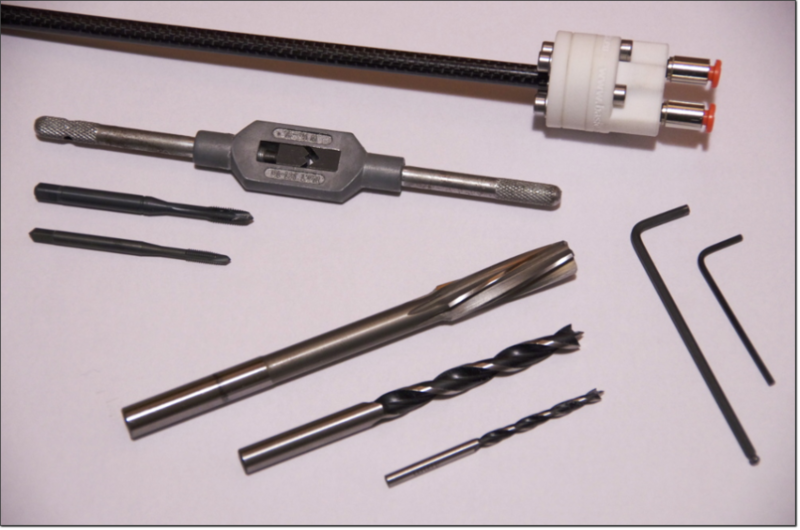 Drill bits are not necessary but useful to clean holes diameter 4 mm and 3mm. Allen Wrench 2. Allen Wrench 3.